Our Funarena! 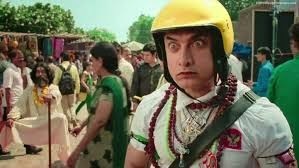 : Movie PK: Looking Afresh At The Indian Way Of Life! Movie PK: Looking Afresh At The Indian Way Of Life! An alien lands on planet earth in that roundish kind of spacecraft we are used to watching in Hollywood and to some extent in Bollywood movies too. First thing that happens to him on earth is that his round blipping tracking system hung on his neck gets stolen and the alien loses all contact with his planet. If you are geared up for a sci-fi movie it ends just there. After that he is like a stark naked new-born baby (not exactly!) about to discover the ways of life on earth—mind you, essentially the Indian way of life. His intensely focused eyes display the heart-rending innocence and insatiable curiosity. He is perplexed at every step—being astounded by the dresses and costumes people wear, being piqued by the languages people speak and thoroughly confused by the religious practices and rituals people believe and indulge in. His innocently meaningful and hard-hitting questions make the people around him laugh or mock or get intrigued or get angry or even get violent. The divinely complicit ‘wrong numbers’ or ‘companies’ or ‘duplicate gods’ brought around by the unstoppable PK remain with the viewers throughout. His escapades earn him the title of PK (in Hindi it means ‘come drunk?’) and PK is of course played by Aamir Khan making it one of his most challenging roles. The earth odyssey of PK begins. Movie PK has a uniquely simple plot told beautifully, delightfully, indicatively, hilariously and poignantly as the inimitable storytelling style of director-writer Rajkumar Hirani goes. All his films including PK have that vibrant positive energy that drives the narration effortlessly engrossing the moviegoers all the way. The ‘story’ in PK attracts Jaggu (Anushka Sharma) who returns home from abroad after a somewhat misunderstood love angle with a Pakistani boy and joins an Indian television news channel. Jaggu starts following PK relentlessly around and after being convinced of his ‘alien’ nature she persuades her channel producer (Boman Irani) to get the story on air serially and PK becomes a celebrity. On his initial struggle PK makes a lovable acquaintance Bhairav Singh (Sanjay Dutt) who helps him escape from tricky situations and ‘learn’ languages in his unique alien way. PK starts communicating in fluent Bhojpuri adding fun and frolic to the plot. The ‘dancing cars’ also helped him in a significant way procuring the dresses he wants! Some scenes remain with you. Like PK going into a temple with a Puja Thali or walking into a church or mosque often chased out, like his obsession of distributing the posters of ‘missing gods’, like making ‘religious investments and earning enormous profits’ at the base of a tree where he plants an icon, like chasing the actor clad as Lord Shiva around, his dialogues with Jaggu and the channel producer and many other situations that make you howl with laughter while moving you to introspect compulsively or moving you to plain tears. True to his intensity and perfection for any role Aamir Khan carries the movie with him all the way dishing out one of the most memorable performances. Aamir Khan is now associated in making Bollywood Box Office history three times—his ‘3 Idiots’ becoming the first Bollywood movie to cross 200 crores in rupees (2 billion), his ‘Dhoom 3’ becoming the first Bollywood movie to cross 250 crores (2.5 billion) and now his PK crossing 300 crores (3 billion) for the first time in Bollywood history and still counting. For the international market too PK has made history crossing 600 crores (6 billion) for the first time and is now ranked 65th all time grosser worldwide. Making the movie experience more pleasurable Anushka Sharma as Jaggu matches Aamir at every step and impresses with her natural flair for acting. Parikshit Sahni, Sanjay Dutt, Boman Irani and Saurabh Shukla in other major roles are also delightful. Sushant Singh Rajput is immensely likeable too in a cameo. Having said everything PK does not seem to surpass Hirani’s earlier creations. 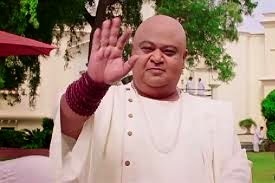 The usual punch of his Munnabhai films and 3 Idiots was somewhat missing in the climax scene of PK when PK was engaged in a live debate with the main religious leader (Saurabh Shukla). The intended punch that usually leads to a free flow of emotions and tears suddenly became personalized bringing in the love angle of Jaggu and the reunion thereof thus diluting the universality. The love angle of PK with Jaggu could also have been avoided. Further, a few of the songs of the movie seem to disturb the narration, because when splendid visuals are unfolding before you the playback ‘acting’ is hardly required. However, these are minor issues as far as the epic tale of rediscovering Indian way of life is concerned. Surprisingly, this beautiful movie is not spared by controversy. Some religious protesters vandalized theaters in different parts of India including Maharashtra alleging insults to reigning deities and demanding a ban on the movie. Apparently most of the protesters did not watch the full movie. Fortunately, central BJP leaders and Maharashtra Chief Minister Devendra Fadnavis showed timely maturity brushing aside the allegations and coming in support of PK. The ugly was not allowed to show its face again in India and beauty of creativity won. But for this controversy box office collections could have been still higher. If you gave the movie a miss due to this then amend it and watch PK definitely. Humor: Politics Of The K Kind! Cricket: Team India-15 For World Cup-2015!